Construction is scheduled to begin this spring, with the first phase projected to be completed by this fall. 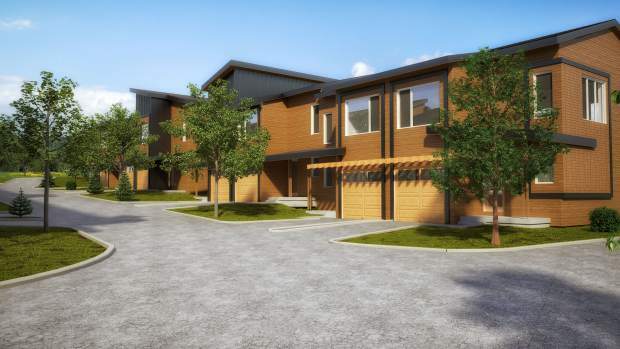 EAGLE — Recognizing the need for affordable housing in Eagle, the Eagle Ranch Housing Corporation and Gold Dust Capital Partners will add five additional deed-restricted homes to the Eagle Landing at Brush Creek townhome development. The addition of five deed-restricted townhomes in phase one of Eagle Landing brings the total number of deed restricted homes in the new development to nine, which represents more than 20 percent of the project. Eagle Landing at Brush Creek consists of 42 townhomes. Units will range from 1,050 to 1,384 square feet. Most will have two bedrooms, 2.5 bathrooms and oversized garages. Standard features include stainless appliances, granite counter tops and laminate flooring. Construction is underway, with the first phase scheduled for completion in late summer and early fall. Only 13 homes are available in Phase I, Deed-restricted pricing starts at $359,500 and pricing incentives for all pre-construction purchases are good for a limited time only. For more information go to http://www.eagle landingtownhomes.com, call Rick Beveridge at 970-390- 7594 or email rick@bevrealestate.com.